The challenging and unique courses will take you out on the Lake Poway Trail through the foothills around the lake near Blue Sky Ecological Reserve. The 5K is designed to let you pick your pace. Enjoy it as an elite trail runner, as a challenging family run or simply a gorgeous morning nature hike. The 10K adds to this course a grueling out-and-back (or up-and-down if we're being honest) into Blue Sky and a quad-burning +10% climb to the Ramona Dam. The Full and Half Marathon Course will start in front of our Official Start Line Hotel, the Newport Beach Marriott Hotel & Spa just south of Santa Barbara Drive. You will run through the beautiful coastal communities of Newport Beach, Costa Mesa and Santa Ana finishing off at the OC Fair and Event Center conveniently located just off the 55 freeway in the heart of Costa Mesa. The mile of the Half Marathon course includes a breathtaking panorama of the Pacific Ocean before winding through the seaside village of Corona del Mar including the spectacular Ocean Blvd. with cliffside views of Big Corona del Mar State Beach. It traverses down Bayside Drive, past the Newport Harbor Yacht Clubs and homes and boats of Newport Harbor. Exceptional views await runners at the bluffs overlooking the Upper Newport Bay Estuary Reserve as are the supportive cheers of neighborhood residents. Join us for the 22nd annual Great Western Half Marathon! The race is hosted by the Fox River Trail Runners and a portion of the proceeds benefit the Special Olympics, Illinois. The GWHM is one of the premier events on the 2019 FRTR Race Circuit and has been designated a 2019 RRCA Regional Championship Race. The 11th Annual Chicago Spring Half Marathon & 10K creates unfounded synergy within the Chicago running community. Celebrating the city’s emergence from winter hibernation, the Chicago Spring Half Marathon & 10K delivers an intimate urban setting with lakefront course, charming finish line complete with a gourmet breakfast, a Spring Market featuring local vendors, build-your-own flower station and a post-race beer garden. Leon’s Triathlon, the world’s fastest triathlon, added a new incentive to this year’s event with the introduction of the Body Glove SURGE GRAND PRIX. Leon’s Triathlon is part of the Chicagoland Tri Series that includes the Transamerica Chicago Triathlon and the ITU World Triathlon Chicago. The 7th Annual Mammoth Half Marathon carries runners over a breathtaking, scenic course through California’s picturesque High Sierra mountains and the Inyo National Forest. The route starts nearly 9,000 ft above sea level at Horseshoe Lake and finishes in downtown Mammoth Lakes (~7,800 ft). Since our inaugural race in 2013, we have added a scenic loop around Lake Mary and brand-new Waterford bridge, making our world-class course even better! The Balboa 8 & 3 Miler is the longest consecutively run race in San Diego and the only one that offers a full tour of Balboa Park! The race will start and finish in the Pan American Plaza, located near the San Diego Hall of Champions. 8 mile participants will enjoy a unique and challenging route through Balboa Park’s scenic trails, bridges and windy roads. The 3 mile participants will enjoy a run through through the Marston loop and across the famous Cabrillo bridge! The 41st Annual America's Finest City Half Marathon is run on a fast, scenic, point-to-point course. The race starts at the historic Cabrillo National Monument at the tip of Point Loma with its world-renowned vistas of San Diego Bay and the Pacific Ocean, follows scenic San Diego Bay and Harbor Island along the Embarcadero to the Star of India, winds through downtown San Diego and finishes in beautiful Balboa Park. Whether you’re new to triathlon or just into speed, the Chicago Triathlon SuperSprint is made to order. This race takes place on the Saturday of race weekend, in conjunction with the Transamerica Chicago Triathlon. The Transamerica Chicago Triathlon offers sprint and international distance courses on Sunday of race weekend. These races, held in downtown Chicago, begin at Monroe Harbor, loop along Lake Shore Drive and culminate with a rousing run down Columbus Drive. BQ.2 Marathon Races are specifically scheduled and designed to be your best chance to qualify for 2020 Boston at 3+ minutes under your 2020 standard to get you to the starting line in Hopkinton. The field will be capped at 300 runners per race to insure a quality experience. The 26th Annual Aspen Medical Products San Diego Triathlon Challenge (SDTC) is an event unlike any other in the world. Some call it uplifting. Many call it life-changing. Everyone calls it the #BestDayInTri. The Fifth Annual Ooh LaLa Chocolate is now a Half Marathon, 5K run and 3K walk. The Dallas Running Club Half Marathon, lovingly referred to locally as “The Half”, was originally organized in 1976 to fill a niche between the 10K and marathon distances. This event now stands as a fixture on the racing calendar and a premier running event in the North Texas area. It is one of the oldest half marathons in the US. The ONLY Run with with the waves of the Pacific Ocean on your right and the San Diego Bay on your left, finishing with a California Beach Party! Run along the "Silver Strand," from Coronado to Imperial Beach! Coronado Island is located just across the bridge from downtown San Diego. The Chicago Turkey Trot is back as the 41th Annual Turkey Day Run Chicago 5K/8K and Plymouth Rock Ramble kids race. Gather your flock and join us for this Thanksgiving Day tradition. Supporting the Greater Chicago Food Depository, you’ll join fellow runners, joggers and walkers in some light hearted fun while ensuring no Chicagoan will go hungry this holiday season. Welcome to the 9th Annual Thank You Run in beautiful 4S Ranch! This Thanksgiving morning race supports two fantastic organizations: Helen's Closet which helps to care for people with ALS and 4S Ranch-Del Sur Community Foundation. The BMW Dallas Marathon course begins and ends in Downtown Dallas and highlights the best areas of the city. Along the way, runners will pass through various popular neighborhoods with exciting cheer stations and on-course entertainment before finishing the race in downtown! BQ.2 Marathon Races are specifically scheduled and designed to be your best chance to qualify for 2020 Boston standard to get you to the starting line in Hopkinton. The field will be capped at 300 runners per race to insure a quality experience. Run through some of San Diego’s most beautiful beaches, bays and resorts, with this fast, flat and scenic half marathon, 5k and 8k. Stick around because the party starts at the finish line with live music, a beer garden (your first 12 ounce beer is on us! ), snacks, photo opportunities, and much more. Join us for the Encinitas Half Marathon! This 13.1 mile OCEANFRONT course takes you along ocean front Hwy 101 through “Funky” Leucadia, “Charming” Cardiff, “Famous” Encinitas and “Gorgeous” downtown Solana Beach. Spectators, Community Cheer Groups, volunteers, aid stations and UNIQUE Course Entertainment “surprises” will keep you going and smiling the whole way. We have a creative team of event organizers from world famous events to help make this course a half marathon experience you will NEVER FORGET!!! The San Diego Half Marathon has been designed to carry runners over a spectacular 13.1-mile USATF-certified course, while showcasing one of the world’s most beautiful cities! The San Diego Half Marathon is a primier race that celebrates the beauty and uniqueness of San Diego while raising money to help its communities. As a nonprofit 501(c)(3), all net proceeds are donated to community service projects and local charitable causes. The Cowtown® offers a race distance for everyone including the Cook Children’s 5K, Adults 5K and 10K on Saturday and the Ultra Marathon presented by Miller Lite, Marathon and Half Marathon on Sunday. The entire family can participate either as a runner or a spectator cheering along the route. As runners tackle our highly acclaimed course, they are cheered on by more than 250,000 supporters and spectators who make Houston renowned for its hospitality. From Run for a Reason official charities, Sidewalk Squad donors, rock bands, belly dancers, and Elvis impersonators, to marching bands, radio stations, and cheerleaders, a multitude of Hoopla brigadiers line the course to entertain and cheer on the runners to the finish! Welcome to the 8th Annual Thank You Run in beautiful 4S Ranch! This Thanksgiving morning race supports two fantastic organizations: Helen's Closet which helps to care for people with ALS and 4S Ranch-Del Sur Community Foundation. The Kiwanis Club of Poway presents the 4th Annual Jack-O-Smash! The race and Family Fun Festival takes place Sunday, October 28, 2018 at the Sportsplex USA in Poway. The Jack-O-Smash Run offers 3 race distances including a 10K, 5K and 1K Fun Run. Whether you're a competitive athlete or want to run/walk for fun, you won't want to miss out. New course and a new finish line with the band Silvermine playing at the end of the race are a few of the changes you will find at this year's race! The 25th Annual Aspen Medical Products San Diego Triathlon Challenge (SDTC) is an event unlike any other in the world. Some call it uplifting. Many call it life-changing. Everyone calls it the #BestDayInTri. Life Time Tri San Diego is an exciting short course triathlon held at South Shores Park in Mission Bay – site of the first modern triathlon in 1974. With mile after mile of parkways, lakes, rivers and tree-lined boulevards, the scenery can’t be beat. Add 300,000 screaming fans, ten Cheer Zones, over a dozen course entertainment acts, and you’ve got an experience that you’ll never forget. The C.A.L.F.® (Children’s Activities for Life and Fitness) program supports running clubs by providing educational assemblies, pedometers and training logs to help educate children on the benefits of an active lifestyle. The program is guided by the volunteer C.A.L.F.® council consisting of coaches, physicians, Cowtown® board members, and community leaders. The goal of the C.A.L.F.® program is to promote an active lifestyle for North Texas Children, and to encourage this as they mature into adulthood. BQ.2 Marathon Races are specifically scheduled and designed to be your best chance to qualify for 2019 Boston at 3+ minutes under your 2019 standard to get you to the starting line in Hopkinton. The field will be capped at 300 runners per race to insure a quality experience. The New Balance Falmouth Road Race celebrates its 46th running this year and the spirit which made the first Falmouth so special is still present today. More than 11,000 runners will gather in Woods Hole for the 20178 race, including many of the world’s elite, though the essence of the event remains a fun run. Back-of-the-pack joggers share the road with the best, forming a tapestry of colors from the start on Water Street to the finish at the beach in Falmouth Heights. The 40th Annual America's Finest City Half Marathon is run on a fast, scenic, point-to-point course. The race starts at the historic Cabrillo National Monument at the tip of Point Loma with its world-renowned vistas of San Diego Bay and the Pacific Ocean, follows scenic San Diego Bay and Harbor Island along the Embarcadero to the Star of India, winds through downtown San Diego and finishes in beautiful Balboa Park. 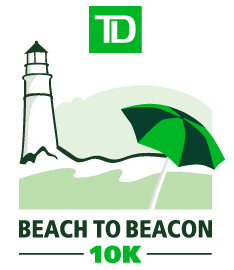 Runners of all abilities from throughout New England and across the nation will join many of the top runners in the world at the starting line in Cape Elizabeth for the 21st TD Beach to Beacon 10K on August 4, 2018.